Home » Blog » Were You Denied Social Security Disability Benefits? See How A Social Security Disability Attorney Can Help. Were You Denied Social Security Disability Benefits? See How A Social Security Disability Attorney Can Help. 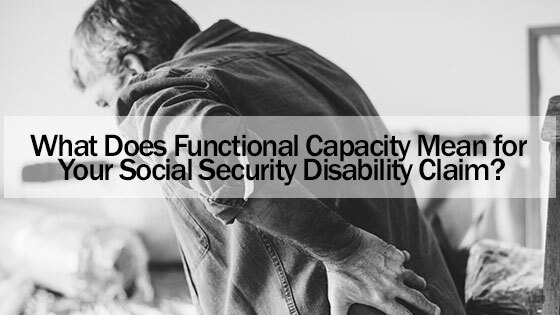 Millions of people try to get Social Security Disability benefits each year. However, 70 percent of these applications are denied. There are several reasons that your Social Security Disability claim could be rejected. One of the most important aspects of making sure that your Social Security Disability claim is accepted is having a Social Security Disability attorney on your side representing you. Many claims are denied because people do not have enough medical evidence to support their claim. If you want to get Social Security Disability benefits, then you will have to prove that your condition prevents you from working. You will need to have medical records that validate this. Here is an example of how you can get a claim denied even if you have a disability. You have been going to the doctor every month because you have suffered a back injury. However, your doctor has not said that your back injury will interfere with your ability to work. That is why it is important to talk to your doctor about how the disability is affecting your life. A Social Security Disability attorney will recognize that you do not have the proper medical support from your doctor and will advise you on what you need in order to possibly get a positive outcome from your case. Many people think that it is better to apply for Social Security Disability again than it is for them to file an appeal. However, this is not true. Your claim may be rejected if the Social Security Office sees that you have previously applied for Social Security. That is why it is best for you to go through the appeals process. The appeals process can be very complex, which is why an experienced Social Security Disability attorney is so vital for you case, so that they can guide you and provide you the proper legal advice required. Your income only matters if you are trying to get SSI. Your income will not affect your ability to get SSDI. Some people who work part-time apply for SSI. If you earn more than $880 per month, then your SSI claim may be denied. The Social Security Administration may argue that you do not need SSI if you are able to work and earn more than $880 per month, then you are not disabled. Your Social Security Disability attorney will be able to explain the importance of your income and how that affects your Social Security Disability case. Your claim may also be rejected if you do not follow your physician’s treatment plan. The reason that the Social Security Administration may reject the claim is because they will not be able to tell whether your condition really stops you from working. However, if you can provide the Social Security Administration with a valid reason for not following your treatment, then you may still get the claim approved. The process of applying for Social Security Disability can be a tedious one. However, it is important for you to do exactly what the Social Security Administration tells you to do. You will need to make sure that you go to all of your scheduled medical exams. You will also need to provide people with all of the documents that are requested. You will need to talk to the person who is handling your case on a regular basis. If they request any documents from you, then you will need to provide it as soon as possible. Social Security Disability claims are very complex and attempting to do them on your own is not very smart, the chances of making a mistake is very high. Retaining an experience Social Security Disability attorney will help in navigating the complexities of these types of cases. What do I Need to do if I Am Denied? You can still fight for your benefits if you have been denied. You have a right to file an appeal. You do not want to start a new application because you will be more likely to get approved if you file an appeal than you would if you were to apply again. The more intelligent thing to begin with is to hire a Social Security Disability attorney. A Social Security Disability attorney will help you put together a strong case. This will greatly improve your chances of getting approved when you file an appeal. Can You Establish a Social Security Disability Claim for PTSD (Post Traumatic Stress Disorder)? A Social Security Disability Attorney Explains. Can I Qualify for Social Security Disability Benefits if I had a Back Injury or Spinal Trauma? Get Details from a Social Security Disability Lawyer. My Doctor Said I am Disabled, so why was my Social Security Disability Benefits Denied? A Social Security Disability Attorney can Help.